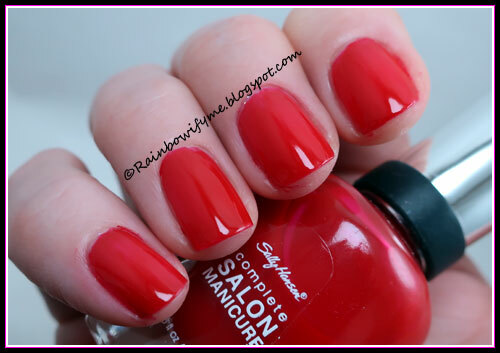 I originally thought that this was going to be a “Walking down Memory Lane with Sally Hansen”-post. 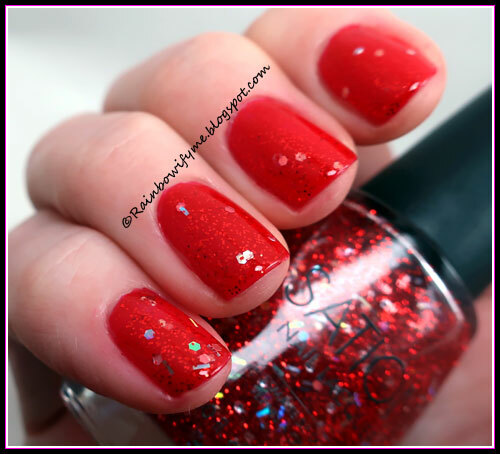 I know I have worn “Right Said Red” before but apparently I haven’t blogged about it. The formula is squishy and the polish really wanted to be on the cuticles as well. I used two coats for full opacity and the drying time was good. I decided to pair it with a glitter topper from Sation: “Miss Popular”. It’s a lovely red and silver glitter-mix in a clear base. Last time I wore that was in 2012, so it’s definitely time again. Here’s two coats of “Right Said Red” and one coat of Sation’s glitter “Miss Popular”. There’s also a layer of topcoat over it. This is two coats of “Right Said Red” and no topcoat. Look how squishy it is! 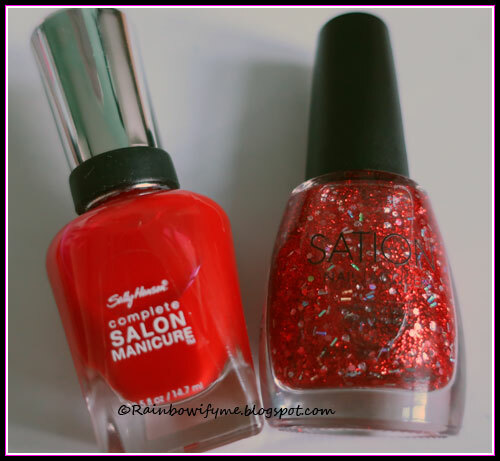 Here are the two polishes I used. Overall impression: Nice, classic colour. Formula a little bit all over the cuticles.